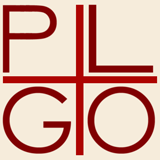 Thanks to the help of Claudiu, P. Stefan Zara, Pilipos, and all the members of the PLGO’ Community, we are now able to share this collection, where the volumes available in some big editorial projects as Googlebooks and Internet Archive, has been ordered and gathered in a single place: our Scribd’ account. Thierry. St. Jean Chrysostome et l’impératrice Eudoxie : la société chrétienne en Orient. 1874.